Inspired by the deep hues of a summer twilight, this ring will take you straight to paradise. 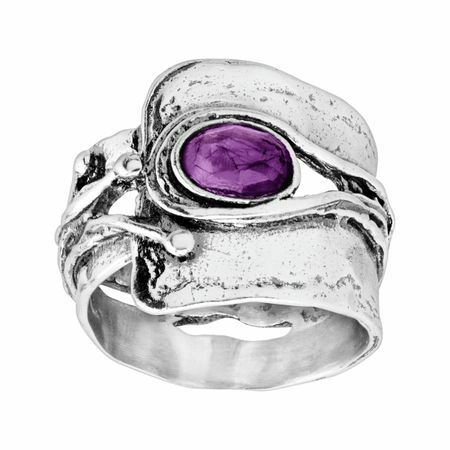 Find a natural amethyst is wrapped in a sterling silver band for a harmonious blend of texture and glamour. Ring face measures 5/8 inches in width.